Road trips are the final frontier for electric cars to totally outshine combustion-engine vehicles (gas/diesel cars). Already clearly a better technology than combustion vehicles in every other respect, of all the electric cars currently on the market, only Tesla so far provides truly compelling road trip ready offerings. This is an area that other carmakers need to pay much more attention to if they have a hope of ever competing with Tesla’s stratospheric demand and world-leading EV sales volume. 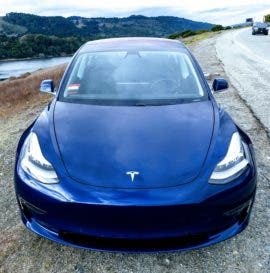 The recently announced version of the Tesla Model 3 with long range and all-wheel drive will be a compelling combination of road trip readiness and affordability, with likely the longest range of any EV, impressive energy efficiency even at highway cruising speeds, and reliable superfast recharging speeds. According to past experience — the dual-motor Model S having a range advantage over the single-motor Model S — common sense suggests that the newcomer will provide a 4–5% range improvement over the single-motor Model 3, which is itself a very compelling road trip vehicle. Official EPA and WLTP vehicle range ratings are only useful for relative comparison (not nearly accurate in absolute terms). More reliable real world range calculations and data (such as those by longtime contributor to the Model 3 Owner’s Club Forums TROY) indicate that cruising range of the dual-motor version at 75 mph [120 km/h] will be around 275 miles [443 km] in optimal conditions. At a more leisurely 70 mph [113 km/h], this increases to 299 miles [481 km] of range. This thing will take road trips in its stride. Tesla still wants to sell good numbers of its Model S and Model X, so has historically slightly downplayed the Model 3’s official range, and will likely continue to do so for all model 3 variants for a while longer. This will remain the case until the S and X get a refresh to further differentiate their range and features from that of the less expensive Model 3 offerings, perhaps later this year. For now, the Model 3 is significantly more energy efficient than the bigger and heavier S (not to mention the X), with even the official EPA figures giving the 2018 Model S 100D a highway energy consumption of 102 MPGe and the Model 3 LR 123 MPGe. Although EPA and WLTP metrics are notoriously untethered from reality, they can be useful as a basis for comparing energy efficiency of different vehicles. The real-world driving ranges of the longest range versions Model S and Model 3 are similar, though the Model 3’s energy efficiency allows it to achieve this with a significantly smaller battery, which helps in reducing its relative cost and the recharge time needed to regain a given range. We know that Tesla requested that the EPA give the Model 3 Long Range (3 LR) an official range of 310 miles, when it in fact measured 334 miles on the standard test cycle. For the same reasons, Elon has suggested that the Model 3 Long Range all-wheel-drive version (3 LR AWD) will have the same official range as the single-motor Model 3 LR (310 miles), even though sensible estimates suggest a 4–5% boost in range. Folks coming from a combustion engine experience may not be accustomed to thinking about how real-world environmental conditions can affect the energy use of the vehicle. But the diesel emissions scandal has clearly shown that combustion vehicles are in reality a lot less energy efficient and a lot more polluting than official ratings and manufacturers’ claims make them out to be. The challenges of real-world conditions apply to all vehicles, whatever the powertrain. “Ideal conditions” means mild weather and mild ambient temperature on a decently paved road without the need for much HVAC and without significant headwinds, amongst other things. These ideal conditions don’t happen too often, so all vehicles use a bit more energy than ideal conditions suggest. When, for example, a 10 mph headwind is present, you should expect closer to 80 mph equivalent range figures when travelling at 70 mph. Crosswinds at these mild levels are less of an energy concern and of course tailwinds will help your energy consumption, if you are lucky enough to get them. HVAC can use significant energy in extreme temperatures. For gas vehicles with less efficient HVAC, the energy hit can be as large as 20%. EVs are usually designed with much more efficient HVAC systems, with a more typical 5–10% hit on your energy use, depending on circumstances. Another EV advantage is that you can remotely pre-heat or pre-cool the interior (and pre-condition the batteries) when the vehicle is still plugged into a recharging point, without using any battery energy to do so. Mid trip, EVs can do the same whenever they are recharging. A combustion engine vehicle needs to have the driver present and the engine turned on before doing these things, potentially wasting both energy and time to, for example, de-ice the windshield or remove oven-like cabin temperatures before the vehicle is driveable. 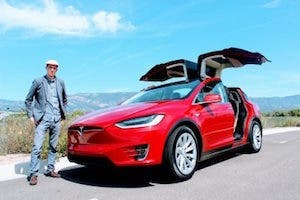 Tesla guru Bjorn Nyland recently analysed energy consumption under HVAC use on the road and found that AC cooling the cabin of his Model X from 77–80° Fahrenheit (25–27° Celsius) down to 68° Fahrenheit (20° Celsius) added around 5% to energy use compared to having it switched off (he conducted the test at different speeds with similar % results). 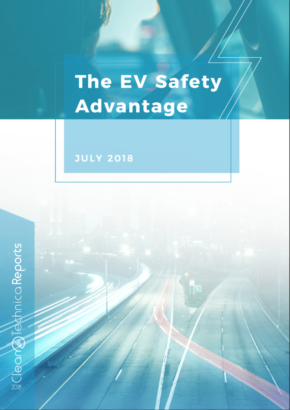 In more extreme conditions, your EV’s HVAC could add 10% to energy use, with a corresponding range hit, although this will depend on your driving duration, speed, and other factors. 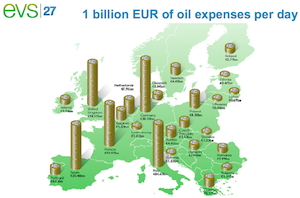 The good news is that EV HVAC systems are becoming more efficient all the time (e.g., using heat pumps rather than resistive heating). Elevation changes tend to average out over long distances, so shouldn’t be an issue during most road trips. Rain and poor surfaces can have a modest energy hit also. Therefore, in moderately poor conditions (modest headwinds and high/low temperatures), you may use up to 20% extra energy on your journey compared to the above “ideal conditions” figures (EV drivers please join in the comments section to add your own experience on this). As a general rule, if you slow down fractionally in tough conditions (sensible anyway in rain, wind, or extreme cold), you will be able to compensate without much trouble. The range chart figures above demonstrate that a 5 mph [8 km/h] speed trim at highway velocities will save you around 10% energy use, giving you 10% higher range, and often resulting in an overall journey time not much different. The same is true in most vehicles. As I noted in a previous piece, the freedom to hit the open road is something we have long taken for granted with our cars. Despite the fact that for most of us it is something we do just a handful of times a year, the possibility of being able to do so has a strong appeal. Most folks want to buy a car that is capable of doing road trips (especially if it is our only car, as it is for most car-owning families worldwide), however seldom we actually make such trips. Since total energy storage is a key factor influencing driving range (along with energy efficiency), this is an area where gas vehicles have historically had a residual energy advantage over EVs. However, Tesla’s large battery models, designed both to have world-leading energy efficiency and fast, reliable, and convenient recharging, have long since had sufficient range to enable practical road tripping. Road tripping in a quiet and vibration-free EV is also a lot more pleasant and less tiring experience than in a combustion engine vehicle. So, on a planned road trip, your first driving stage can make use of up to 90% of your battery’s rated range and subsequent stages will likely be using closer to 70%. 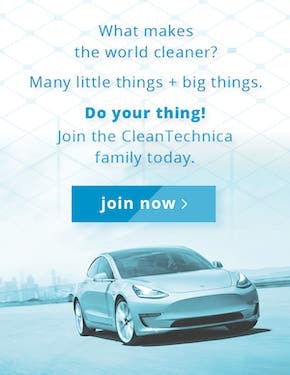 In a Model 3 LR AWD, assuming driving at 70–75 mph [113–121 km/h] and experiencing moderately poor environmental conditions, you can still expect to cover at least 200–215 miles [322–346 km] over your initial stage (using 90% of battery charge) and then take a 30–40 minute break before covering at least another 155–168 miles [250–270 km] (using 70% of battery charge). That’s almost 3 hours of initial driving (if you’re up to it — 2.5 hours is the recommended maximum healthy driving duration before taking a break). Thereafter you can drive 2 to 2.5 hour stages at 70–75 mph [113–120 km/h], repeating as often as you need with short breaks in between. With these capabilities, you can make, for example, a trip from downtown LA to downtown San Francisco (380 miles) without any inconvenience, even in poor environmental conditions. It takes around 5½ hours of driving at highway speeds with a 35 minute break just past the mid point. That’s the typical driving duration and a comfortable choice for a break — whatever your vehicle — on such a long drive. With kids on board, older folks, a dog, you’ll likely want to stop more frequently. Last time I made the LA to SF road trip (with a friend, in his ICE car), we stopped for a 40 minute food break along the I-5 highway and then had to dedicate extra time for gasoline refueling. An EV charge session doesn’t need to be attended (smartphone apps allow you to remotely monitor charging progress), so you can bundle the food break into the recharging period. Any average road trip would follow a similar pattern of driving time and break time, be it from Paris to Frankfurt, Milan to Zagreb, Shenzhen to Xiamen, or what have you. If the trip was longer still, you’d want to stop for further breaks every two to three hours of driving anyway. Where are other manufacturers on the road trip readiness front? 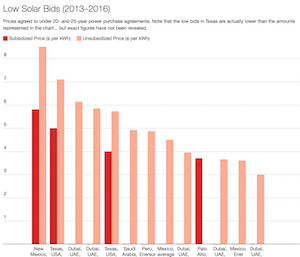 They are still lagging Tesla by a long shot, unfortunately. We all wish they would step up, but they are not making nearly enough effort. So, in this section, let’s review their progress and give them some constructive criticism. We’ve recently seen that the 2018 Nissan Leaf 40 kWh is inherently incapable of practical road tripping, due to Nissan’s absurd decision to save a couple of hundred bucks by not including even a basic active thermal management system in the vehicle. The management software just resorts to throttling the charging power whenever the battery gets too hot (and it does all the time at normal-speed highway driving). Nissan obscured this limitation in marketing materials, but it has quickly emerged for owners in real-world use, and has become a source of great disappointment for folks attempting longer drives in the Leaf (see #Rapidgate). Now that this problem is known, Nissan will likely lose sales and revenue as a result. The company may even get sued or face “lemon law.” How’s that for shortsighted budgeting decisions? Only with the battery at an unrealistically ideal temperature, the 40 kWh Leaf will take at least 42 minutes to charge from 10–80%, (at 45 kW initially, then tapering down to 27 kW), which will give you about 90 minutes of driving at 70 mph (covering 105 miles) in perfect conditions. However, with the battery already unavoidably getting hot from driving at these speeds, (as well as heating up significantly during the charging process itself), DC charge rates drop to 22 kWh, thus taking 80–90 minutes of charging to gain 90 minutes of highway driving even in a best case scenario. See EV superfan Bjorn Nyland’s real world experience here. Spending half your journey time charging, and having to limit your speed to 57 mph tops (as Bjorn recommends) makes the 40 kWh Leaf completely impractical for making normal road trips, even in a cool climate (Bjorn’s test was done in the Norwegian winter). In warm or hot climates, it is worse still. 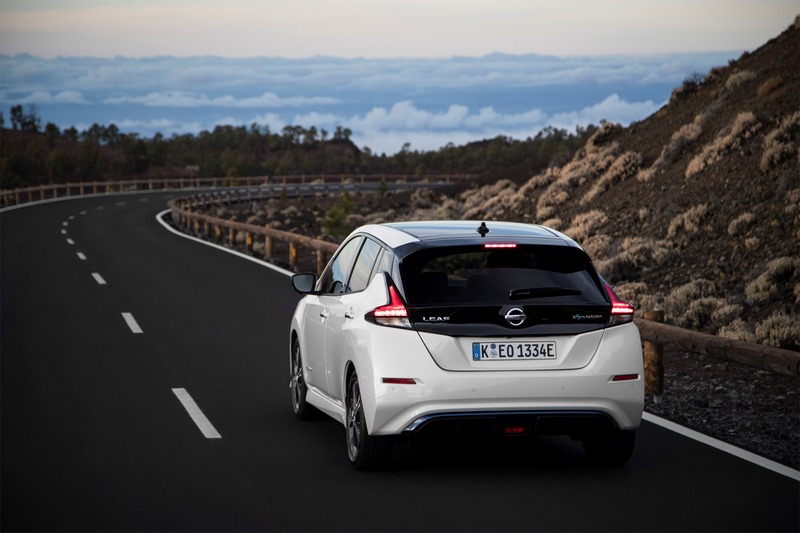 Nissan boss Carlos Ghosn is also under the belief that 186 miles of range (at 100% charge) is sufficient for EV owners (not that the Leaf can achieve even this modest range on a road trip). That would typically mean real-world range figures less than 60% of the Tesla figures above. Apparently, Ghosn either believes road trips are a thing of the past, or that EVs are just city and commuting cars for now. Thanks, Carlos! The Chevy Bolt is somewhere in between the Leaf and the Model 3 LR, with fairly decent highway range. A Car and Driver test found a 100% range of 190 miles of highway cruising range at 75 mph, with moderate HVAC settings. That’s around 70% of the highway range of the Tesla Model 3LR AWD. So the car has pretty decent range. Using 90% of the battery, the road tripping range in favourable conditions could be 170–180 miles in the initial stage, and thereafter 130–155 miles when using 70% of the battery after a recharge. This tells us that when charging from 10% to 52%, a 45 kW rate is possible in ideal conditions, which equates to adding about 25 kWh, taking about 33 minutes. From 52% to 80% charge occurs at an average 35 kW in ideal conditions, adding around 17 kWh over the next 30 minutes. So, to recharge from 10% to 80%, in ideal conditions, takes 63 minutes. Thus 380 mile “ideal condition” trips in a Bolt at 70–75 mph require an initial stop at 175 miles for 63 minutes, then another stop at the 315 mile mark for perhaps 25 minutes before heading off again to reach the 380 mile mark. Or you could do 3 stops from 10% to 52% SoC at around 33 minutes each and get to your destination that way. Either way, that’s a total of around 90 minutes of charging, in ideal conditions. 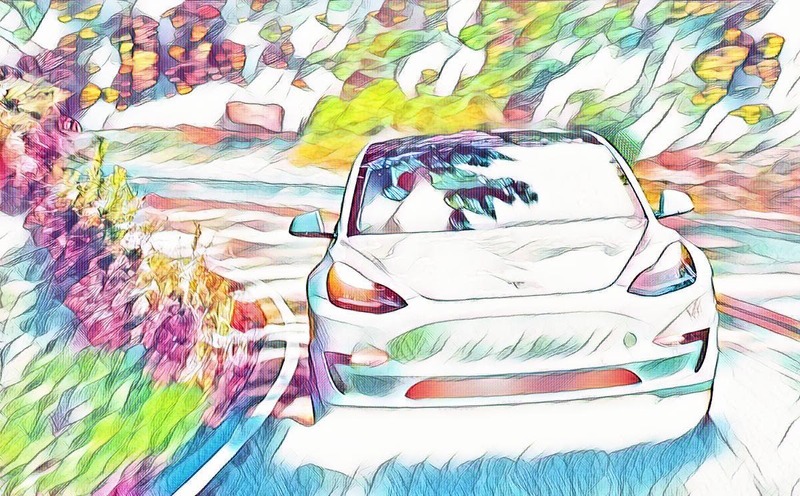 In real-world conditions, such a journey seems to require a combination of adventurous spirit and patience (see this forum), traits that, whilst laudable, are not necessary in a Tesla nor in the gas vehicles folks have gotten used to. For highway trips totalling up to 175 miles, then, the Bolt is great, and does have all the other EV benefits. But after the initial 175 miles, drivers have to be willing to take 30–35 minute breaks every 80 miles, or 60+ minute breaks every 130 miles. That’s an hour break for every 1 hour and 45 minutes of driving. Or, better, 33 minute breaks every 1 hour and 5 minutes of driving. Both of those patterns are in “ideal conditions” and neither of them anyway resemble a practical road trip for most folks. 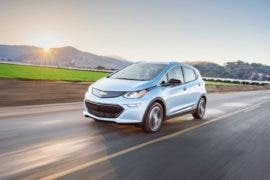 Hopefully Chevy will improve the Bolt’s charging capability in future versions. The upcoming Jaguar I-PACE is not an affordable vehicle (compared to the Tesla Model 3 LR or LR AWD) and not an efficient vehicle, and will likely have a real-world range (at 70–75 mph) lower than that of the Bolt (the overall EPA rating gives it around 9% less range than the Bolt). It does promise to have better charging ability (100 kW DC capable in theory, though actual charging speeds remain to be seen). Since it has a 90 kWh battery, filling it from 10–80% (adding 63 kWh) will take at least 45 minutes even at a 100 kW charger, so long as there is no significant throttling. 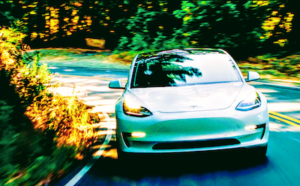 The real range at highway speeds will likely be about 60% of the Tesla Model 3 LR AWD range figures above, given the relative EPA rating and the fact that SUVs struggle with aero relatively more at higher speeds (speeds that the EPA rating does not account for). That means 70% SoC of the battery will likely give a little over 1.5 hours of real world driving at 70–75 mph between 45+ minute charges. With slightly lower range but marginally better charging than the Bolt, the road trip readiness will be no better overall — only patient adventurers need apply. It will however be a good vehicle for highway drives of up to 155 miles or so (its 90% range at highway speeds), and great if you only use it for daily commutes and regular driving. Perhaps a future version will be more energy efficient and road trip ready. The Audi Quattro SUV will be expensive (€80,000, or $100,000) and won’t likely be available anywhere for purchase until the end of 2018. It will have a 95 kWh battery, but its energy efficiency relative to the I-Pace’s similarly sized battery is currently unknown. The stablemate low-range VW e-Golf is not an energy efficient EV compared to its peers (e.g., having a 28% larger battery than the Hyundai Ioniq, yet no greater range). Audi will need to do something very different if the Quattro is to be road trip ready, even with its big battery. 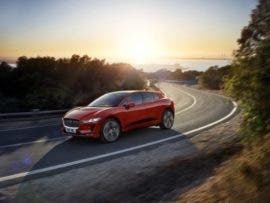 Likely it will have a similar highway range to the less expensive I-PACE. However, that’s only 70% that of the Model X 100D’s highway range, which costs a fraction less than the Audi, so it’s hard to imagine who would choose the latter. But unlike the I-PACE, the Quattro should have better 150kW DC fast charging, which in theory will put it close to the Teslas in recharging times. The lower energy efficiency will mean it will gain less actual mileage than the Tesla for a given charge duration, however. 150kW DC fast charging infrastructure is also very rare compared to Tesla’s Supercharger network. The Quattro may appeal to Audi loyalists, and might appear attractive to well heeled occasional road trippers who don’t need the Model X’s better range, and are happy to stop 2 or 3 times on a 380 mile road trip. Planned production volume is unknown. Again, being an EV, it will be a better vehicle in many respects than its gas counterparts, excepting this limited practicality for road trips. The Hyundai Kona EV should be a relatively energy efficient vehicle, and sources suggest a UK price between £35,000–37,000 ($47,000–50,000, or hopefully a bit less in the US) for the long-range 64 kWh version. This version will likely have similar or perhaps marginally better real-world range than the Bolt (the Kona is aiming to have an EPA rating of 249 miles, vs. the Bolt’s 238). It will certainly beat the Bolt’s recharging with reliable 100kW DC fast charging (its very efficient sedan sibling, the Ioniq, has reliable and fast DC charging — see the top charging graph above — but a very modest range). Recent reports of 80% charging (from near empty) in 54 minutes should translate into a mid-trip 70% added charge of 47 minutes on 100 kW DC (corresponding to an actual 58 kW charging power, which is still pretty good). It’s also good that Hyundai’s marketing figures on charging appear to be in line with the likely reality, when other manufacturers are happy to bend the truth on charging to hide their inadequacies. Of the coming crop of EVs other-than-Tesla, the Kona 64 kWh will likely have the best combination of road-trip-readiness and affordability. But with the comparative range being only around 72% of the Model 3 LR’s, and with the compact SUV shape unlikely to maintain its aero efficiency as well as the Model 3 does at fast highway speeds, the Kona will still not be comparable to the Model 3 LR or LR AWD for seamless road trips. It will likely need at least 2 recharge stops to make a 380 mile road trip, the first of 47 minutes and the second of around 25 minutes. That’s still going to be acceptable for occasional road trippers who are happy to take a bit more time, perhaps those with young kids who anyway need more breaks, and certainly a much better vehicle in almost all respects than a gas equivalent. 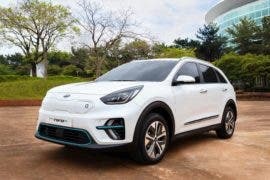 The Kona’s platform-sharing cousin, the Kia Niro, will be a bigger vehicle which will likely struggle to get 90% of the Kona’s real-world range, and consequently also 10% lower miles-of-range-added-per-minute-of-charge, so not a challenger unless you need that extra internal space and aren’t concerned about making practical road trips. If that’s the case, the Niro nevertheless will be a better car than equivalent ICE vehicles. Whilst we’re on the subject of EVs arriving in late 2018, the range of the Tesla Model 3 Standard at highway speeds will be similar to the Bolt and Kona. It has a smaller battery than both, but its extremely low aero will give it a significant efficiency advantage at highway speed. It will have faster real-world recharging than the Kona (and much faster recharging than the Bolt). Again, like the Kona, it will be okay for occasional road trips for those who are not in a rush, but on the other hand, it will likely significantly undercut the Kona on price ($35,000), see much higher production volumes, and is already in very high demand. Other EVs intended for worldwide release may exist in press release form (we’re looking at you, Volkswagen and Mercedes), but with little clear commitment about when in the next few years they will actually get made and sold, and in what volume. Tesla is the only manufacturer selling genuinely practical road trip ready EVs at the current time, perhaps because all the others are not sincere about making EVs and have not invested any genuine effort or resources into EV research and development. They instead appear to be hoping to keep producing existing gas vehicles for as long as they can. Their narrative seems to be that EVs will remain as low-volume city/commuter cars, novelty items, for the foreseeable future. Hyundai is the only other manufacturer that demonstrates some moderate effort at the moment. Unlike Jaguar, Volkswagen Group, Nissan, and all the rest, they at least seem to have grasped the importance of designing an EV powertrain first and foremost for energy efficiency at realistic cruising speeds, and also provide decent recharging speeds. This approach allows a comparatively smaller battery, thus lower cost and lighter weight, as well as faster recharging to recover a given mileage range. However, as we saw above, Hyundai’s otherwise impressive Ioniq was apparently never intended for reasonable production volumes, suggesting that the company may be more focused on simply selling a low number of compliance cars than actually moving seriously towards EVs. The same can certainly be said for all the others. Tesla is still a relatively small manufacturer, but the one with the highest EV output. That output is also growing fast, and within a year will likely be double that of any other EV manufacturer. Tesla has huge brand momentum, and a massive lead in EV technology, with little prospect of any others catching up anytime soon (even if they did want to, which they apparently don’t). The Model 3, which is clearly a superior car all-around than its gas vehicle peers, will soon start to erode the sales of regular offerings from BMW, Audi, and Mercedes. Maybe at that point they will wake up and take notice. Please share your comments and suggested corrections below.